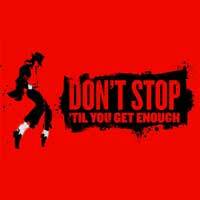 DON'T STOP 'TIL YOU GET ENOUGH is the new musical that celebrates the artistry of Michael Jackson. The show takes audiences behind the scenes as Michael prepares for the 1992 Dangerous Tour, providing an in-depth look at his process. As Michael and his collaborators rehearse their epic setlist, we are transported to pivotal creative moments from his career. Featuring over 25 of Michael Jackson's biggest hits, DON'T STOP 'TIL YOU GET ENOUGH combines the singular talent of a cultural icon with the powerful storytelling of contemporary theatre.